At the heart of Schindelhauer’s new vanguard Wilhelm XVIII lays the Pinion P1.18 gearbox. 18 evenly spaced ratios, which make for a total gear range of 636 percent, outline the current pinnacle in shifting. 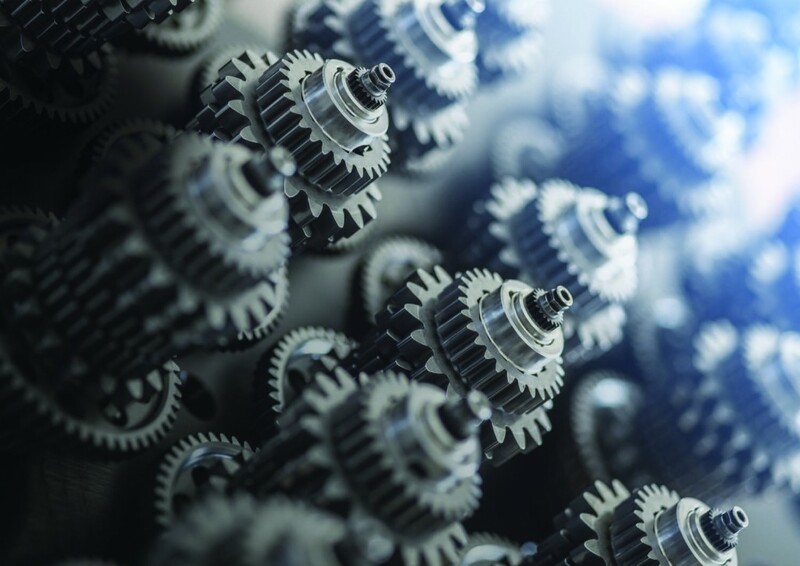 Every gear conveys the immediacy of a single-speed transmission while the centrally mounted gearbox creates an evened-out balance. Equipped with exclusive CNC-machined disc brakes, Brooks saddle and Gates CenterTrack system, Wilhelm XVIII can be fully customised according to customers’ requests. With the Pinion rotary shifter, both individual and multiple gear shifts can be made with split-second precision. The indexing of the shifting is at the gearbox, so it’s unaffected by stretched cables or damaged cable housings. 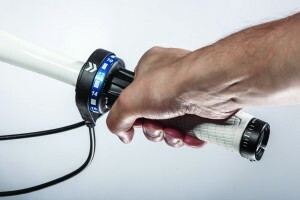 The shifter is designed so that its contours are comfortable to hold, allowing bar and shifter to be safely covered at the same time with no risk of accidental shifts. The soft rubber coating and the raised ridges make the shifter secure and easy to use, even when wet. 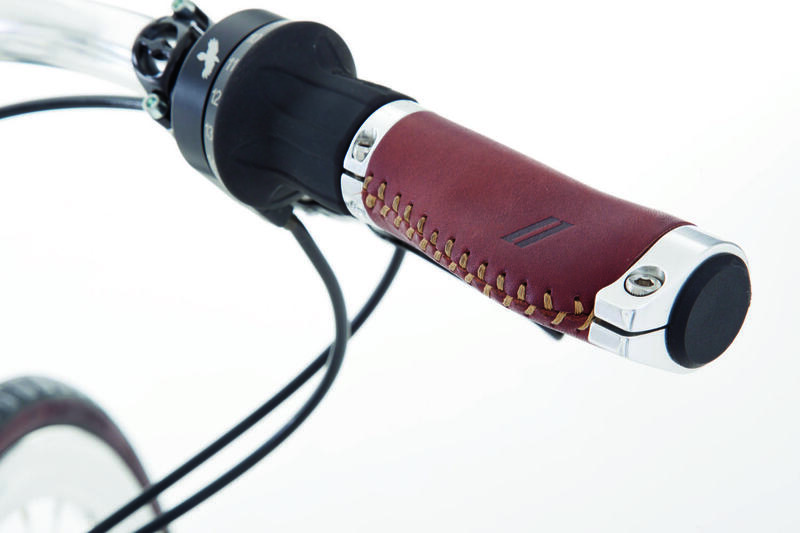 The shifter gives direct feedback when switching gears; the load on the chain and the force needed to shift directly relate to each other. You can sense immediately at the shifter the moment to shift gear so you learn fast shifting with a new Pinion gearbox in no time. 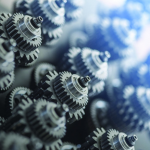 The Pinion gear P1.18 has completed all the practical tests, material tests and operational simulations to ensure maximum quality, reliability and service life. To ensure durability and performance at the highest level, real athletes were used to discover real-world peak forces. With this data Schindelhauer was able simulate the effects of many years of use under realistic conditions in a short time. 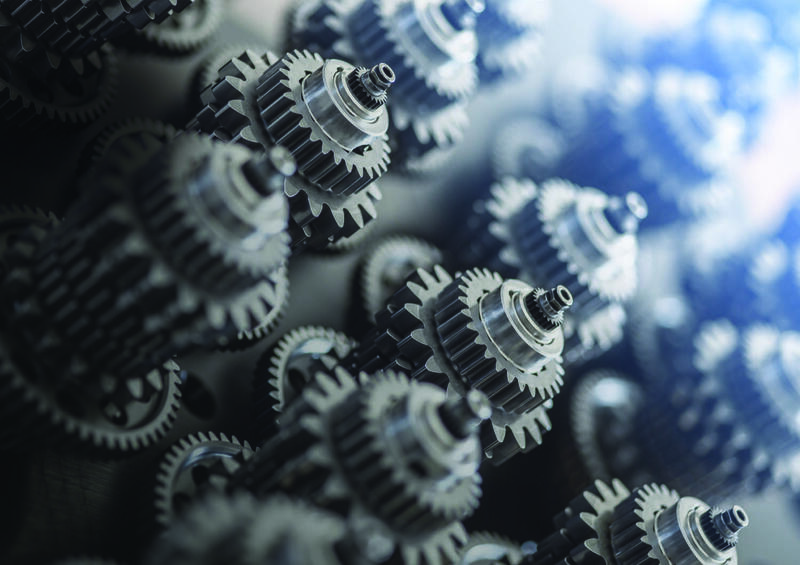 Using automotive industry techniques and standards it has tested the complete gearbox, and each individual component, under repetitive use at extreme load. 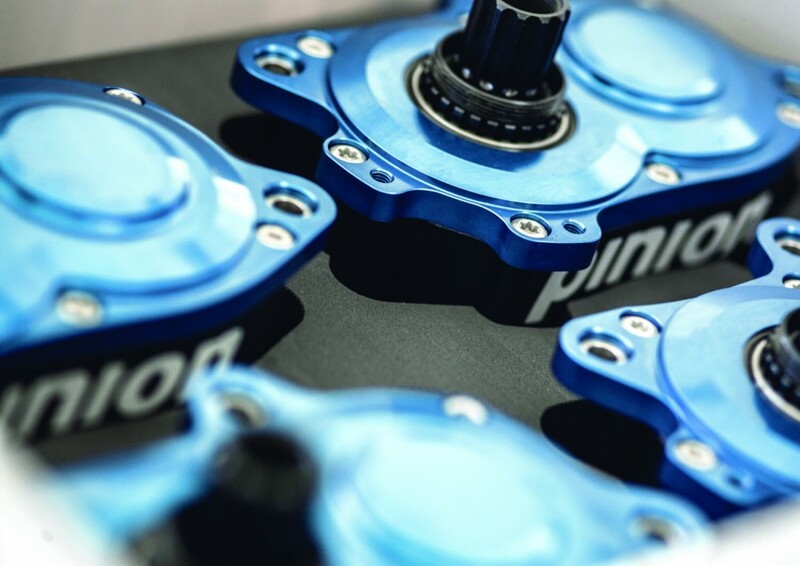 So when you take a new Pinion gearbox bike on the trails you can be assured that you will not be a guinea pig, but will be using a product you can rely on. 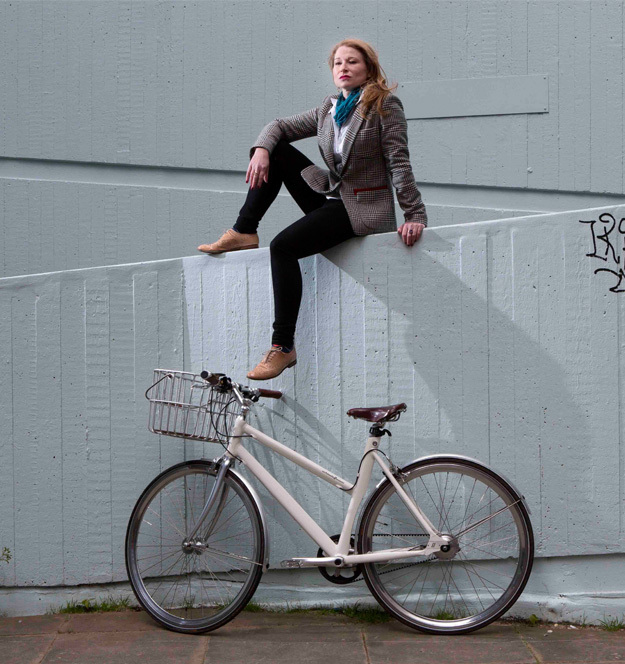 Berlin-based Schindelhauer Bikes is a German success story that has caused an international sensation. With perfect craftsmanship and breathtaking design solutions, Schindelhauer has not only gained the respect of the art geeks, but captured the heart of the aesthetes. “For four friends who come from a technical direction, this is a nice compliment,” says engineer and developer Jörg Schindelhauer, one of the original founders of the company – which bears his name - along with his business partner Martin Schellhase, designer Stephan Zehren and Manuel Holstein. It’s no wonder that the brand started to win awards for design from its very first year (2009). “Winning the award at the Designers’ Open design festival in Leipzig is a memory that will stay in all our minds for a long time,” says Jörg. 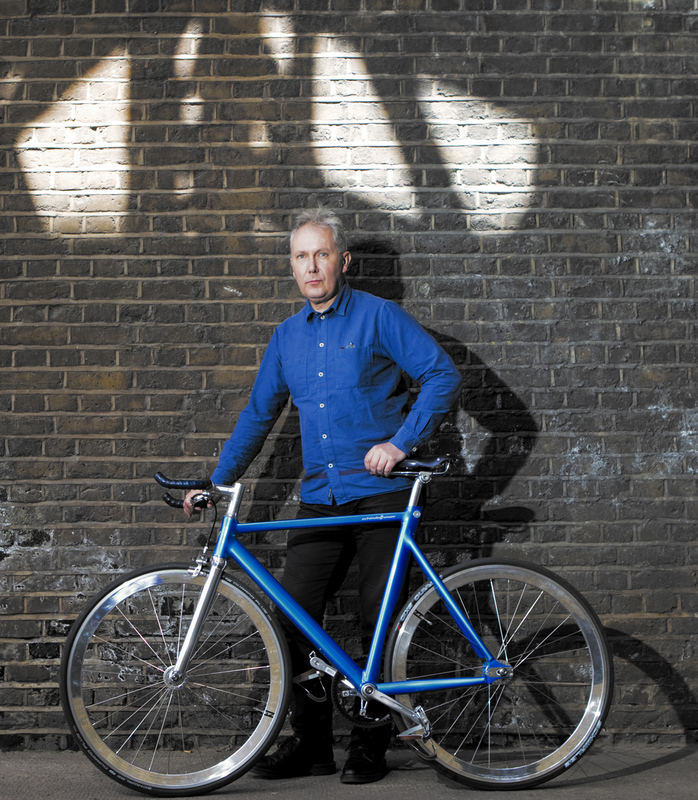 Like its founder, Schindelhauer bikes are free from pretension. The Schindelhauer factory has been hard at work recently, with two new models to show for it. 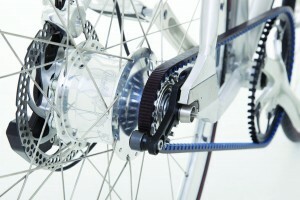 First, there is the Wilhelm XVIII Pinion drive, which Schindelhauer’s founder claims, “is the absolute best bike we’ve ever built. 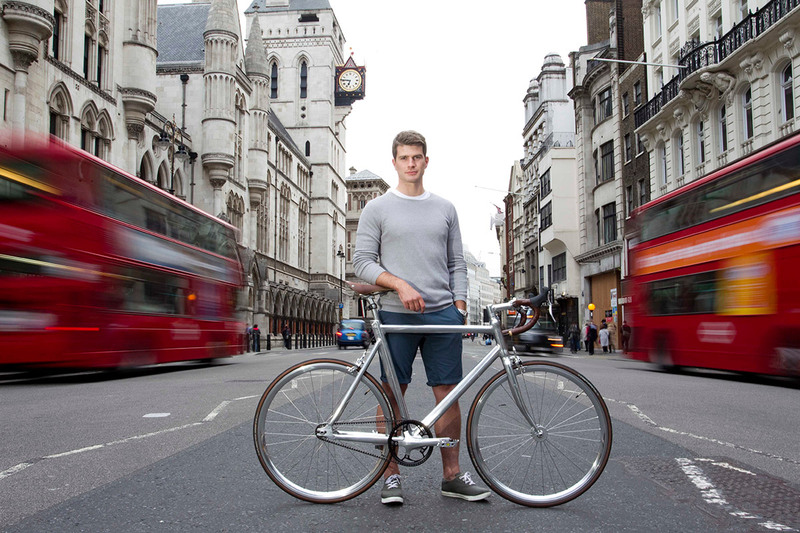 Personally, I actually favour single-speed riders – always. 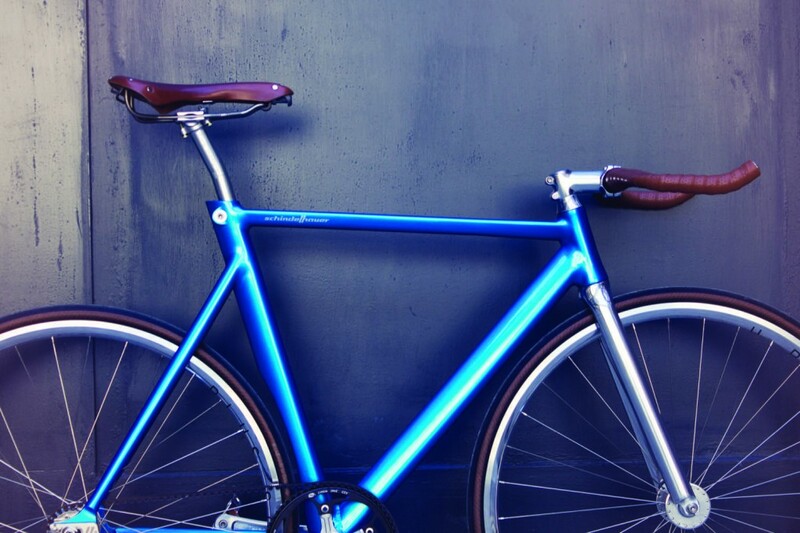 Yet the Wilhelm XVIII feels, despite its 18 gears, like a single speed”. Alternatively, there is the Hektor frame, pitched to cycling fans as the core around which to build a perfectly tailored racing machine and which Jörg describes as, “edgy, and at its heart a driving machine. You can sit on it and really go flat out. It’s a great one to ride through the streets of Berlin as it enables me to go faster than the motorists”. 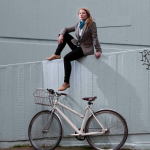 The most irritating thing for the engineer and developer about urban cycling is the lack of dedicated cycle lanes: “In my opinion bike paths do not belong on the sidewalk, but rather on the road. That said, poor road conditions such as cobblestones are, naturally, totally annoying.” He also admits to riding without a helmet, feeling that there is simply ‘no need’. There are nine different models to choose from: Siegfried, Viktor, Ludwig, Lotte, Friedrich, Frieda ThinBike, Hektor and Wilhelm. Wilhelm, formerly the Ludwig XVIII, sees the birth of a new Schindelhauer family. 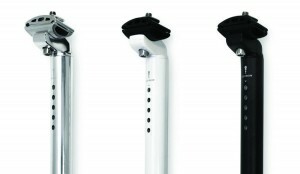 In addition to the Pinion 18, Schindelhauer have added the 9 and the 12 to the Wilhelm family. Nicknamed ‘The Purist’, a minimalist city bike, Viktor features track inspired geometry with clean lines and an aluminium single speed/flip-flop hub. 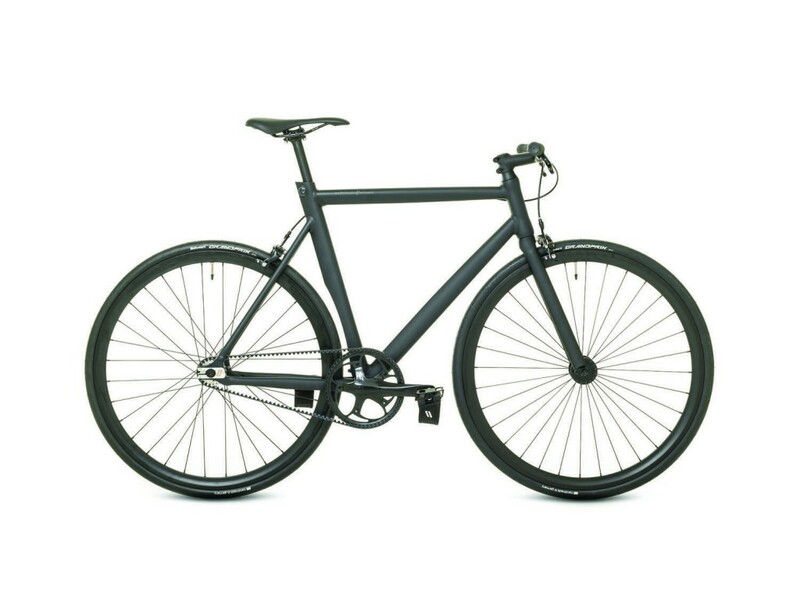 Weighing 8.2kg with quality components and a belt drive, this low maintenance single speed bike that won’t let you down. Available in Matt Black and Polar Silver finishes. 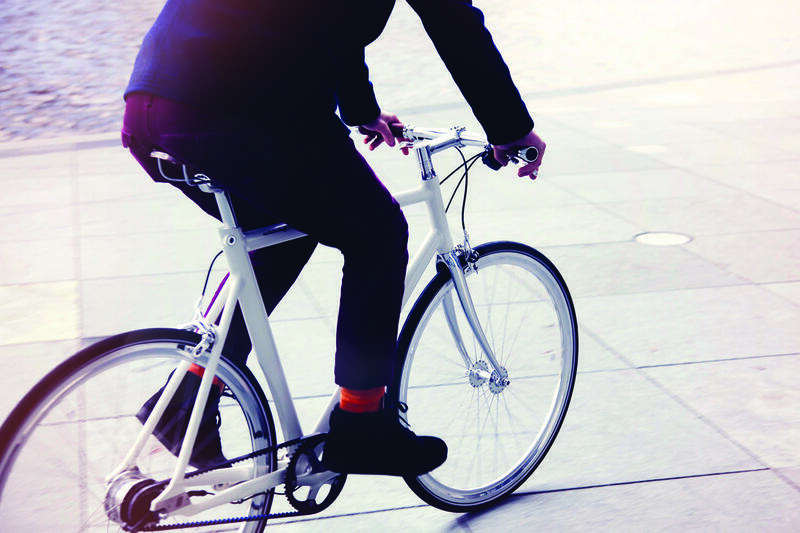 Perfect for everyone, Friedrich comes off the shelf with super light Curana mudguards, Supernova high-end illumination and a sleek rack by lightweight-specialist Tubus. 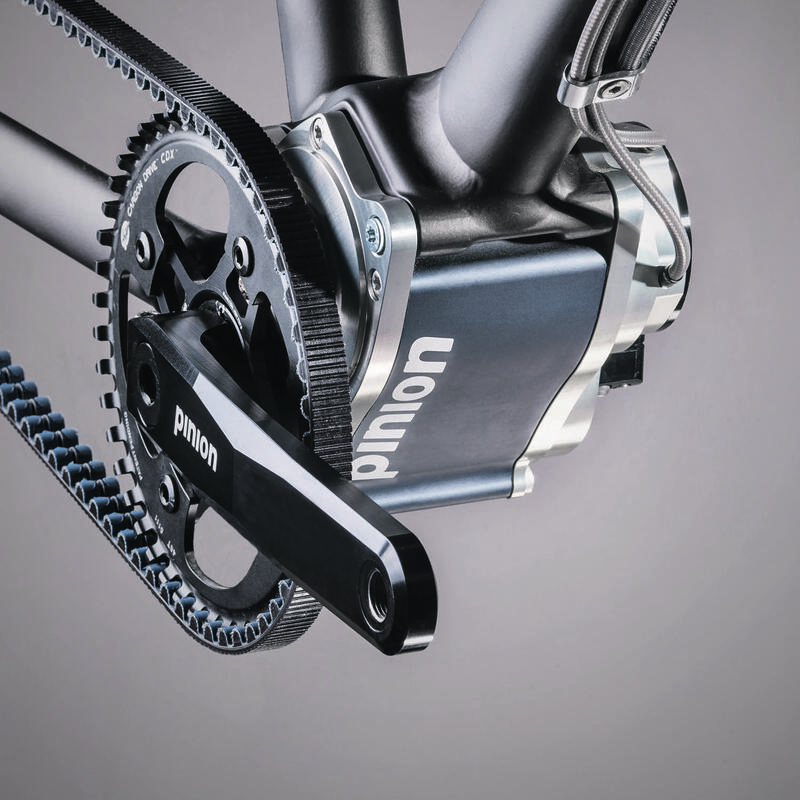 Stress free propulsion is provided via the well-attuned duo of Shimano Alfine 8 with Gates centre track track. Colour choices include Alu Pure, Cream White and Midnight Blue. The Ladies model is called Lotte and is described as a bit of a charmer, once again featuring a maintenance-free Gates Carbon Drive, along with an eight-gear hub. 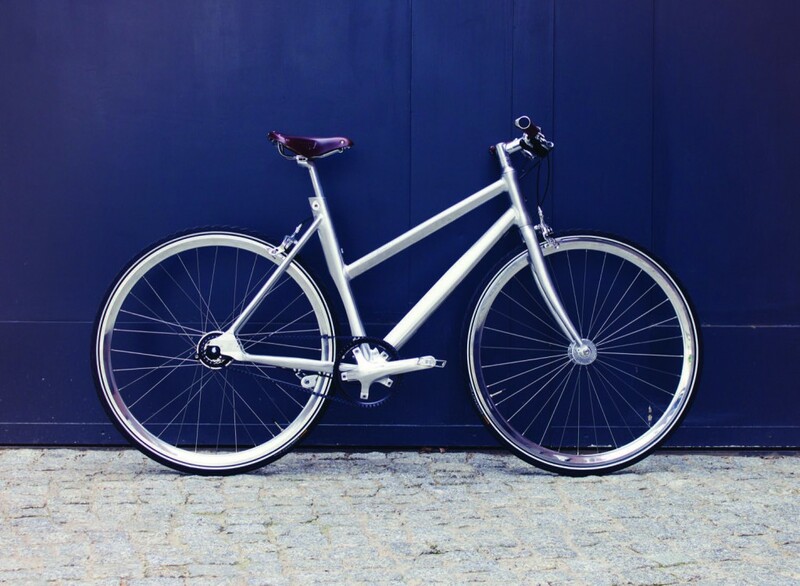 Whether on a weekend bike tour or cutting a dash through a trendy neighbourhood, the sporty yet comfortable Lotte will be your willing accomplice. The concept behind the slim line ThinBike is to provide a full-size bicycle with inventive and elegant solutions capable of navigating inner-city traffic. Folding handlebar and pedals offer an easy storage solution in your home. 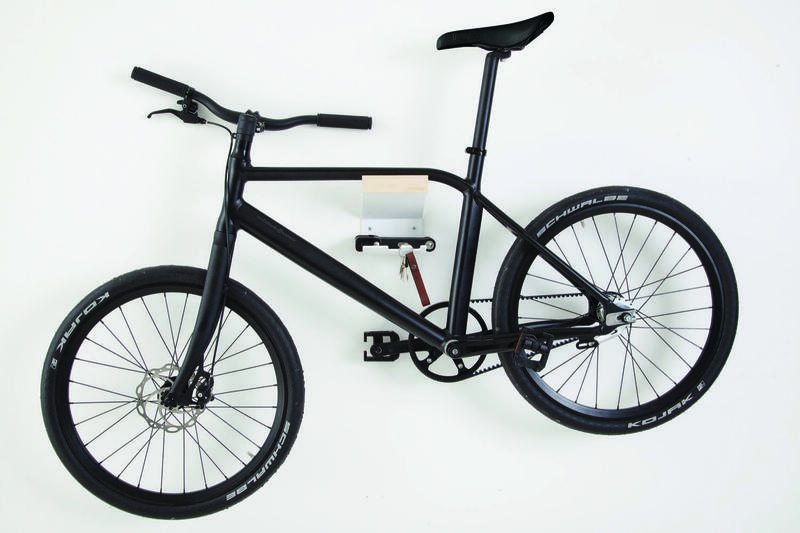 It even comes with a wall mount by Berlin based design studio MIKILI. More recently Schindelhauer recieved a Red Dot Design Award and separate iF Gold Product Design Award for 2014 for its ‘ThinBike’. 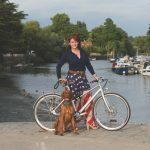 It would seem the boast is that our bikes offer a number of outstanding properties, freedom from maintenance, durability and reliability” is a far from idle one ThinBike has an integrated tail-light and a bell built into the brake lever. 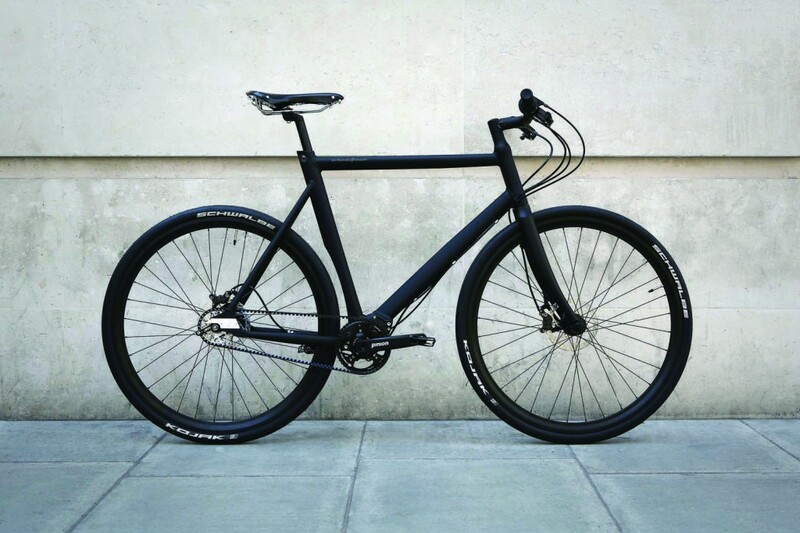 The inclusion of a Gates Carbon Drive combined with a two-gear hub makes this bike an obvious choice for city life. 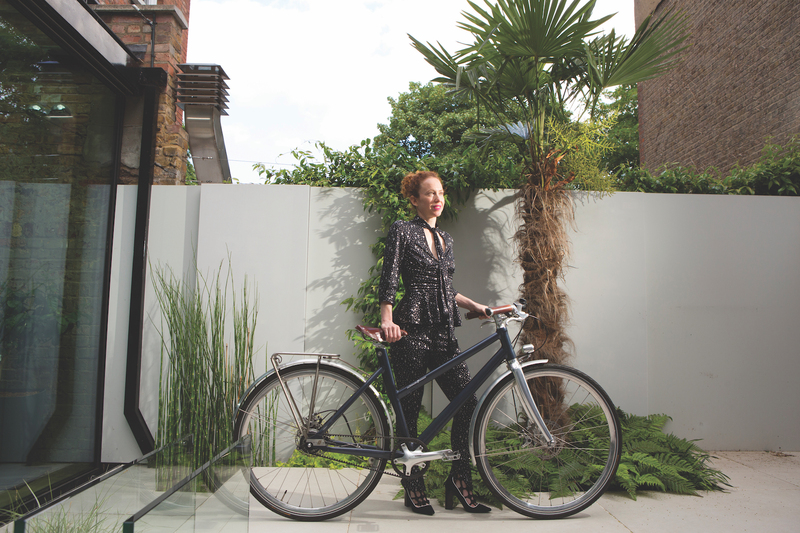 A low stand-over height also makes the one-size-fits-all ThinBike a stylish companion for ladies. Available in either Matt Black or White. As at home in the Velodrome as it is on the road, the Hektor frameset is the core around which to build a perfectly tailored racing machine. Stiff, aggressive, and palpably craving speed, yet nonetheless supple and dynamic, the Hektor features Schindelhauer’s exclusive LowPro geometry to deliver an agile, balanced, and comfortable ride, for those who bring the challenge on themselves. 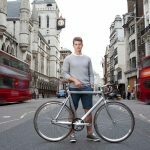 The sculpted seams are welded from large volume, triple-butted, aero tubes for a highly stiff, tuned frameset, described as the pinnacle of meticulous design and expert craftsmanship. 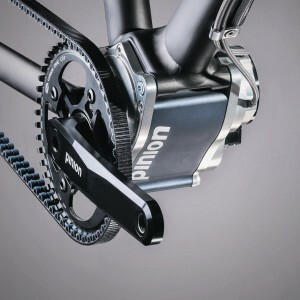 Comprised of frame, fork, and headset, it’s 100% compatible with the Gates Carbon Drive. A fusion between modern technology and contemporary but timeless design. 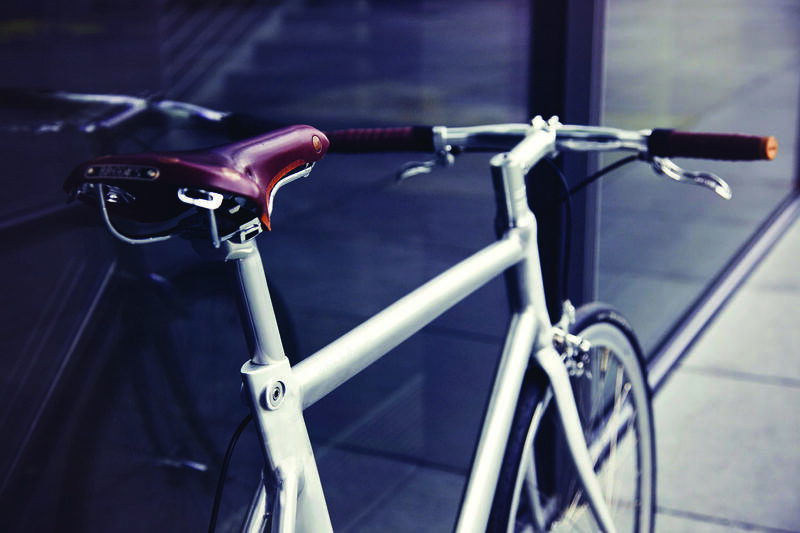 Pair its Gates Carbon Belt Drive with a classic Brooks leather saddle and one gear is all that’s required to conquer the city. Speed for miles through bumper-to-bumper traffic in an athletic upright position, and avoid suffering a stiff neck while waiting for the traffic lights to turn green. 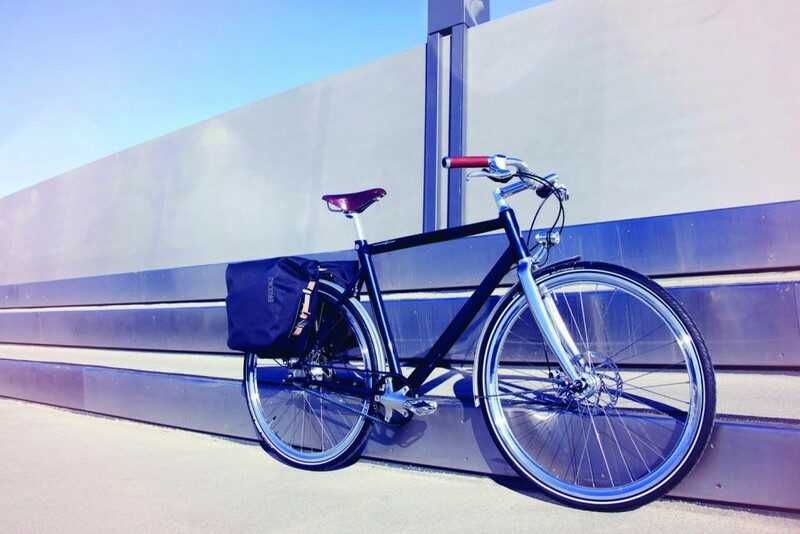 The Ludwig VIII is pitched as the perfect companion for a weekend getaway, featuring an adjusted 8-speed system, Gates Carbon belt Drive and guaranteeing a relaxing and maintenance free bike ride. 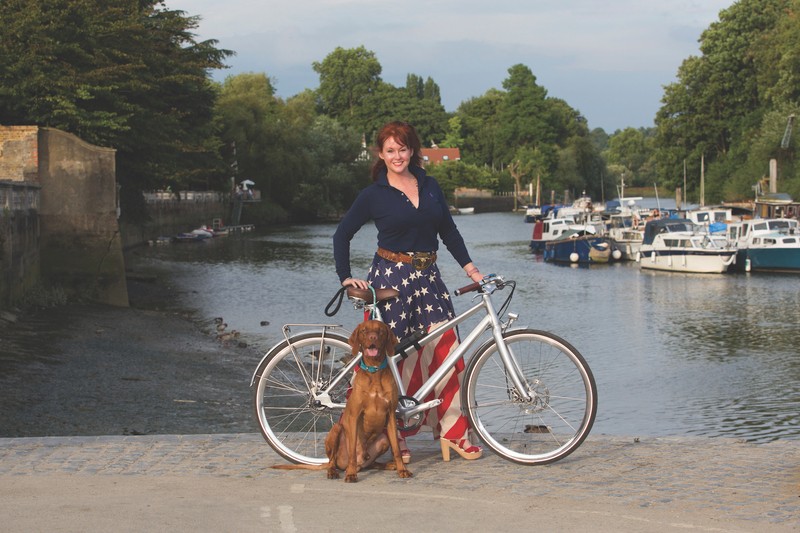 A great value touring bike with oodles of class. 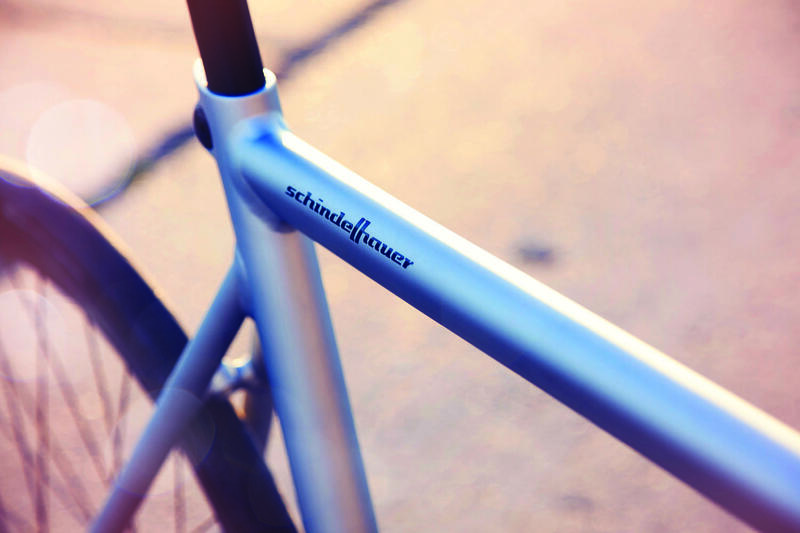 To achieve this, Schindelhauer took the geometry of their tough singlespeed frame and carefully modified it by relocating the bottom bracket slightly lower and applying an extended head tube and fork to compensate for the increased saddle height. 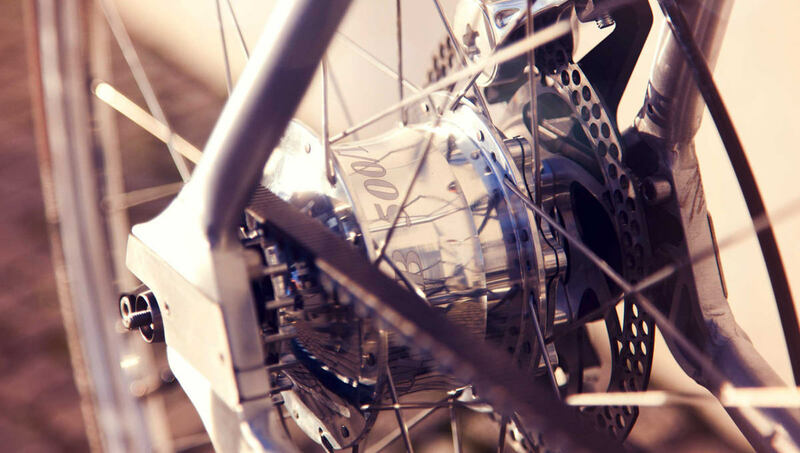 The extensive gear spread of the fully enclosed, Shimano Alfine 11-speed hub gear combined with classic components ensure an agile and smooth bike ride. As it sounds, the Ludwig XIV boasts a 14-speed Rohloff Speedhub, combining the fuss free reliability of a belt drive with the efficiency of the Rohloff gear shift. 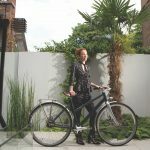 What’s more it can be customised to suit your personal tastes when it comes to colour of the frame, choice of mudguards and seat post. Some say it’s as sturdy and steadfast as a mountain goat. 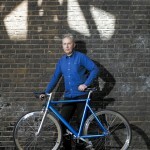 This entry was posted in Manufacturers, Schindelhauer and tagged gates, carbon, schindelhauer, gates carbon drive, pinion, All images and text copyright © 2015 Velorution/Bike Republic. All rights reserved. on 16th July 2015 by Velorution. 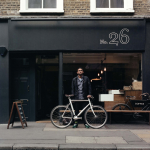 Soheb came into our store having sold his road bike on eBay after, in his own words, “failing to embrace the necessary maintenance and lycra that it required”. 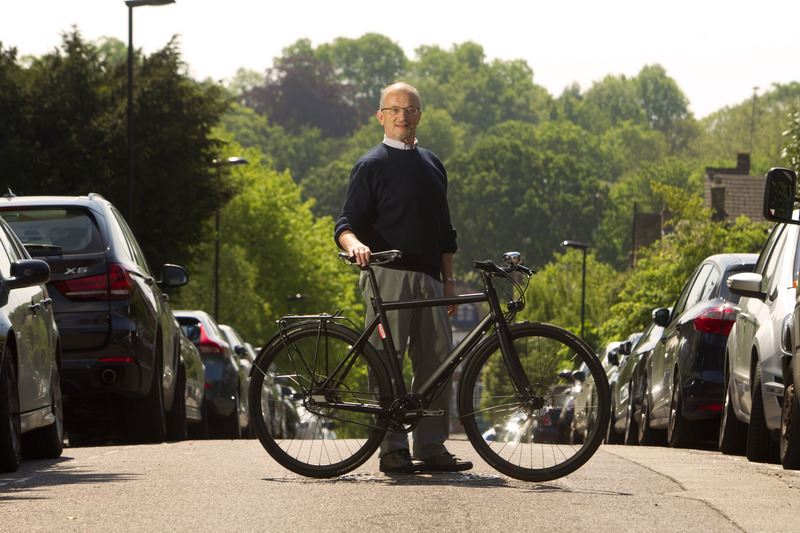 He also had a six-year-old folding bike that he felt wouldn’t withstand the pressure of a longer commute. 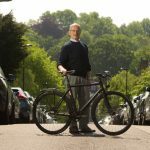 So he was looking for a new bike that would be easy to maintain and see him comfortably through his daily trip to and from work. 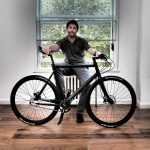 “The first thing you notice in Velorution is the range – someone has clearly shifted through the thousands of bikes out there and picked the best ones,” Soheb says. With its lightweight frame and Gates Carbon Drive system, which requires no oil and lasts more than twice the life of a regular chain, this bike certainly fulfilled his low-maintenance criteria. He soon realised that it was the bike for him and after some quick calculations on how much money it would save him having a bike that he would ride every day rather than using the train, he was very happy. 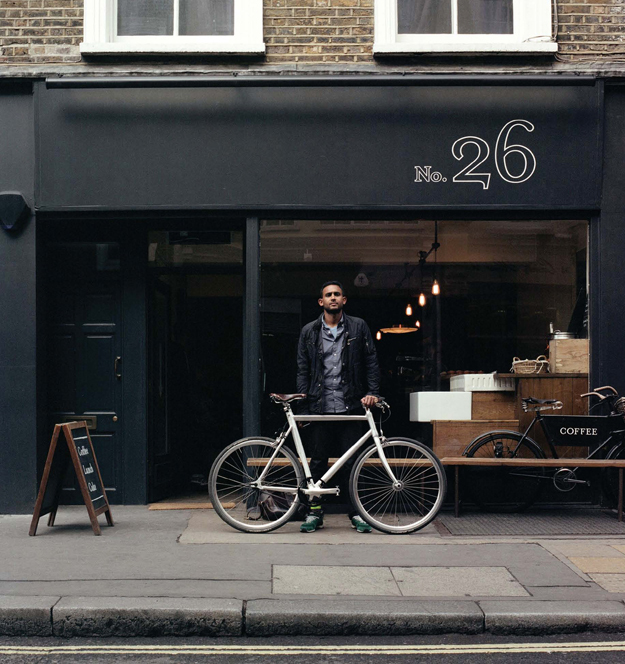 His commute starts at Ladbrook Grove with a quick pit stop at Tapped and Packed on Rathbone Street, W1 for a coffee before finishing up in Shoreditch. 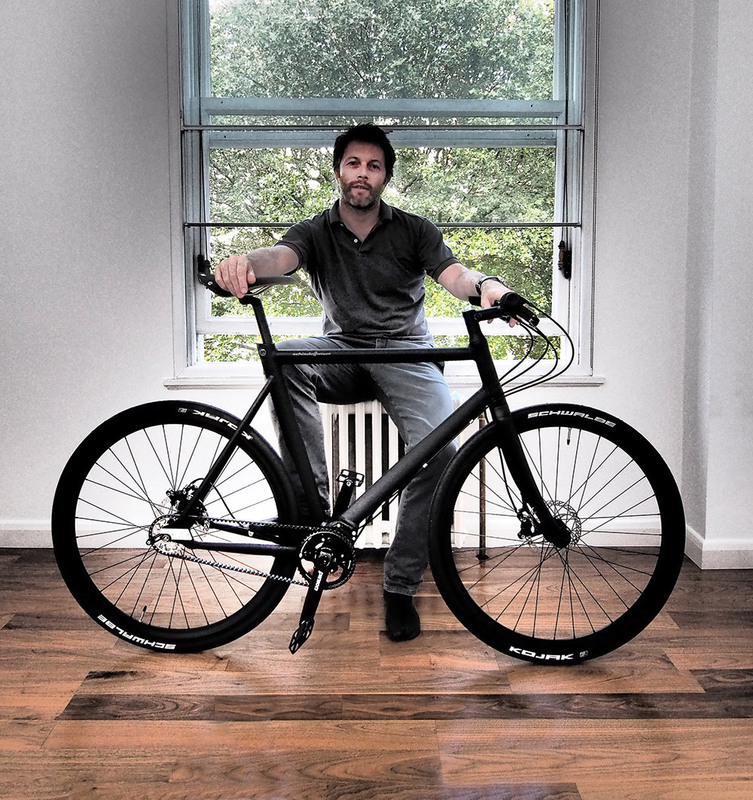 So look out for him speeding past you on his shiny new bike in the future. This entry was posted in Velorutionaries, Schindelhauer and tagged Velorutionaries, Soheb Panja on 9th June 2015 by Velorution.